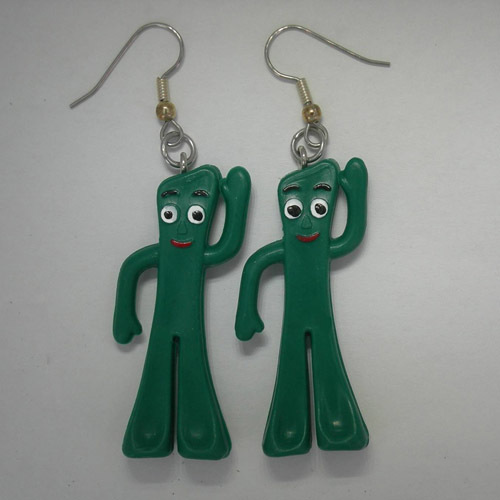 Desc: Gumby dangle earrings. The ear wires are fashioned from surgical steel. Each Gumby is fashioned from green plastic and is flexible. Black and white and red paint are used on the face to indicate eyes, eye brows and mouth.